What Are Materials for Soundproofing Walls? There are so many materials for soundproofing walls that it can be overwhelming. Let’s explore the products we can offer you as well as other common soundproofing materials, and we’ll try to make each option more approachable and a little less hide-raising. Soundproofing panels can be an easy, affordable and less messy way to construct a sound-absorbing haven. Another bonus is you can choose panels that add artistic flair or a personal touch to a space. Own a pic of you and your pet cow frolicking in the sun? You can order a custom printed panel showcasing your lovely photo and hang the panel in your home office. You’re likely to have more inspiring, and less noisy, work days. Our art acoustic panels are made with sound-absorbing fabric and lightweight frames. They work and look great in homes, offices, restaurants, theaters, classrooms and pretty much anywhere you wouldn’t want sound bouncing around and echoing. You get to choose the color and design you want. Do you desire a pop of red in your home office to energize you or maybe a tranquil seascape to calm your nerves and help you relax? Whatever look you want to go for, it’s a simple process. All you need to do is choose and upload an image, pick your dimensions and give us a few weeks to work our magic. These are our standard acoustic panels, which are wrapped in an acoustic fabric and are great for ceilings and walls. 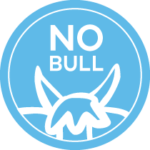 They provide a simple solution and come in a variety of colors from wheat to quarry blue. Do you have brick or concrete walls you want to make a little more sound-absorbent? You can mount these panels there, too. Our fabric-wrapped panels are good neutral options for businesses, churches, homes and recording studios. With rock stars in mind, we created perforated acoustic panels. These panels are specially designed for musicians, performers, speakers or anyone who transmits sound through a speaker. Our perforated acoustic panels help reduce reverberation and improve sound quality. These wooden panels also look great with any style, and they can be custom designed. They are highly versatile as well because you can suspend them from the ceiling rather than simply mounting them on the wall. Is Drywall a Good Soundproofing Material? By itself, drywall is not enough to soundproof a room. 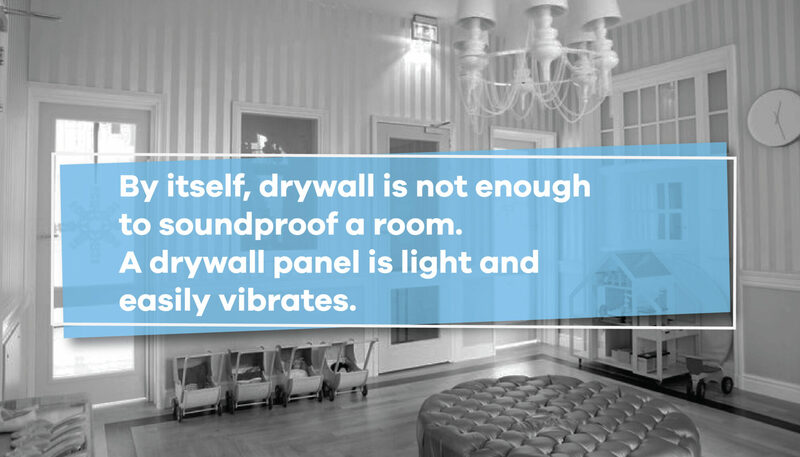 A drywall panel is light and easily vibrates. To soundproof drywall, you’ll either need to add more drywall, fill the wall with soundproofing material or add other mass to the wall, so it doesn’t vibrate so easily. Looking for great soundproofing insulation for your home or commercial building? Mass loaded vinyl (MLV) is safe to use, easy to apply and excellent at blocking sound. MLV works by adding mass to an area and blocks sound from passing through ceilings or walls. MLV is usually added to studs and sealed in place with caulking and tape for highly effective soundproofing. It’s a great DIY material and an economical way to block outside sounds. MLV works great between building materials like drywall layers. MLV is not absorbent, but it’s a reflective barrier. That means it blocks sound waves rather than absorbs them, and it keeps noise inside or outside. MLV can be used inside walls as well as wrapped around noisy pipes and ducts. We offer fiberglass composites or a material that combines a fiberglass blanket with our Quiet Barrier™ soundproofing material and polyester film facing. You can install fiberglass composites where ever you need fiberglass insulation and sound protection. Some ideal areas might be vents and air ducts, or ceiling tiles. Fiberglass composites are quality soundproofing wall materials and can be used anywhere, from your home to a warehouse. Foam composites block noise with at least one layer of Quiet Barrier soundproofing membrane and one layer of polyurethane foam. These materials work together as strong sound barriers. In fact, you might consider adding foam composites to a firing range to help block gunshot noise or to a music studio if you like to get in the zone without a care in the world. Wherever you can use insulating foam and sound blocking power is a good place for foam composite barriers. Temporary barriers offer a quick and simple solution to meet your sound-proofing needs. These acoustic quilts are made of fiberglass and vinyl, and they are meant for you to hang or lay down anywhere you need quick soundproofing. Live in an apartment where you can’t make any permanent changes to the walls, but you really want to use the spare bedroom as a studio? These will do. Soundproofing barriers work great and may be all you need. However, for ultimate soundproofing, nothing beats our IsoTrax Sound Isolation System. IsoTrax is all about finding a solution. There are different types of sound, and each situation is unique. IsoTrax is the best soundproofing solution, for any room regardless of size. It can be applied to walls or ceilings, in commercial buildings to homes. IsoTrax comes in a kit that’s easy-to-install for most people and is an affordable and versatile noise-reducing construction system. Why Choose a Sound Isolation System? Acoustic glass mineral wool is lightweight and highly versatile, and it can be cut and shaped to fit anywhere — whether that’s inside an appliance or used as a ceiling panel. Our acoustic fiberglass is made-to-order, so you get the size you need to reduce noise in a variety of situations. Another plus to acoustic fiberglass is it helps make a space more energy efficient. Acoustic foam is super easy to install with its peel-and-stick material, and it provides sound dampening installation perfect for a studio or garage. It absorbs sound, improves acoustics and keeps sound from escaping. Because this material absorbs sound waves, it prevents sound from reflecting off surfaces. This option won’t completely soundproof a room, but it’s a good choice if you want something quick, easy and budget-friendly. Soundproof paint won’t really get the job done in most situations. Although some acoustical paint may be created with sound-absorbing resins, it’s simply not thick enough to reduce noises effectively. Even if you find wallpaper that promises to block sounds, and even if it’s a pattern of your all-time favorite frog species, realize that the wallpaper alone won’t soundproof your wall. Like paint, soundproof wallpaper is too thin to do the job right. It’s basically regular wallpaper with a thin layer of foam backing it. However, if you insist on having that frog pattern, it wouldn’t hurt to use soundproof wallpaper with other soundproofing methods. Foam rubber, like the type in waterproof clogs, will not protect a room from sound. Foam is only effective when combined with other soundproofing materials for minimizing sound. Carpet is another material that just doesn’t carry the weight to block or absorb noise to the levels you need. It may look cool, and it is more absorbent than a wall of mirrors, but overall, it’s not enough to soundproof a room. Once you have your soundproofing materials in your hands and are ready for installation, make sure you have the proper installation accessories first. With the right tools and adhesives, you’ll make sure your soundproofing materials live up to their full potential. Acoustical mounts: Hold insulation in place. Acoustic sound sealants: Help keep sound in and keep sound out by creating a tight seal around ducts, frames and cracks. Soundproof primer: Is easily applied to wood or concrete and is just another level of protection. Soundproofing adhesive: Permanently adheres sound absorption materials to all kinds of other materials from metal to brick. Forms a strong bond to hold things in place. Soundproofing tape: Prevents noise from getting in. You wouldn’t want to install that beautiful piece of sound-absorbing foam tile with Scotch tape, right? Sometimes, if you want the best results possible, it’s worth giving attention to all the details.